March 1 It’s Spring!! Meteorologically speaking, that is. Weather persons (meteorologists) divide the year into quarters, which makes it easier to compile data about each season. Who Cares! It’s Spring! Let’s not worry about details, But if you want to be precise, astronomically speaking, you’ll have to wait until March 20 for the Vernal or Spring Equinox when the Northern Hemisphere tilts toward the sun. 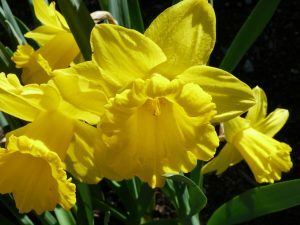 Daffodils are the symbolic flowers of March. Just looking at a beautiful vase or basket full of these gorgeous blooms makes us think of sunnier days ahead. March 5, is Mardi Gras, or Fat Tuesday. All over the world Mardi Gras or Carnival celebrations usually include lots of color, food, wine, parades, beads… excesses in many forms. it’s like “Last Call” before the onslaught of Lent and deprivation. Sigh. Daylight Savings Time begins in Massachusetts at 2 AM on March 10 when we set our clocks ahead one hour. (Spring forward; fall back) Most of Arizona and Hawaii don’t use DST. March 12 is National Plant a Flower Day, a day for “Planting flowers and looking forward to spring.” Really? Before I cast off my boots and mittens, I’d take a look at the USDA Plant Hardiness Zone Map. As this is New England, you may have to dig a path through the snow before you can plant anything. Better to stay inside with a nice hot cup of tea and think about the Power of Flowers 4th Annual Plant Sale. Now we’re talking spring. Once again the Tewksbury Senior Center has kindly let us use their grounds from 9 AM to 1 PM on Saturday, May 4 for this event. So, your time on March 12 is probably better spent, planing your garden and making a shopping list! March 14 National PI Day, which is a celebration of the mathematical constant PI ( 3.14159). It’s a good day to gather with friends and discuss the importance pi makes in our daily lives. Or you could gather with some friends and eat… pie. Your choice. 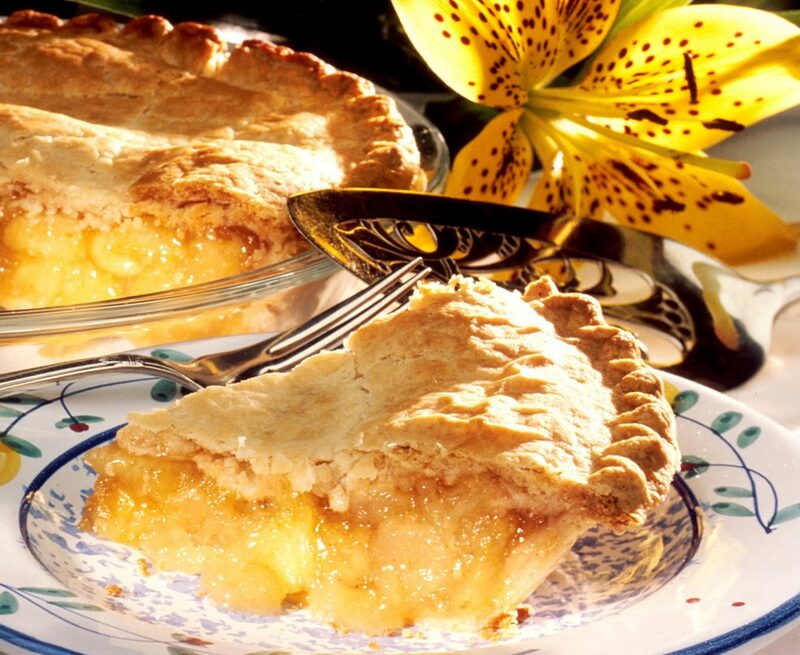 Pi day began in San Francisco in 1988 at the Exploratorium when a group of physicists marched around their offices and ate fruit pies. It wasn’t until 2009 that the U.S. House of Representatives passed a non-binding resolution recognizing March 14, 2009 as National Pi Day. Speaking of food, March 17 is National Corned Beef and Cabbage Day. The word “corned” actually means brined in salt. In Ireland, Corned Beef recipes call for salt pork or bacon joint. When the Irish immigrated to America in the 1800s, they found “corned beef” from Jewish delicatessen was similar to the bacon joint and more readily available. And a whole new tradition was begun. Although corned beef and cabbage is consumed in the U.S. on March 17 for Saint Patrick’s Day, it is not considered part of the traditional Irish cuisine in the Emerald Isle. March 20 is the Vernal Equinox, which is the astronomical first day of spring in the Northern Hemisphere. An equinox occurs when the plane of the Earth’s equator passes through the center of the sun – the center of the visible sun is directly above the Equator. It also means there are equal hours of light and dark. This happens again in September, during the Autumnal equinox. Just a reminder to shop AnnieSelke.com during the month of March. Annie Selke will donate $5.00 to the Power of Flowers Project for every order placed and shipped from March 1 through March 31, 2019. Have a wonderful month and a wonderful Spring!